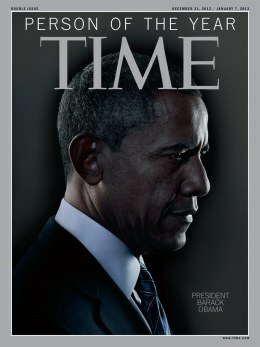 Barack Obama is TIME's "Person of Year" in 2012. Time magazine has named U.S President Barack Obama its “Person of the Year" for this year 2012. The short list included Malala Yousafzai, the 14-year-old Pakistani education rights activist shot by the Taliban in October, Apple CEO Tim Cook, Egyptian President Mohamed Morsi, and physicist Fabiola Gianotti. You can read the complete cover story of Time Magazine about Obama here It praises Obama for his victory as U.S President second time. You can watch interesting videos of Barack Obama from this YouTube Playlist. Do you agree with TIME magazine's selection? Free Download of SERP Checker Tool.